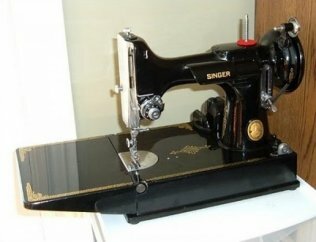 Quilts Plus specializes in Singer Featherweight 221 sales and maintenance. We also offer quarterly classes in the "Cleaning and Care of your Featherweight". This is a hands-on class that most featherweight owners are going to want to take. We will disassemble the machine, cleaning each area as we go, and then oiling and lubricating in the areas that are pointed out in your book or our handouts. We will emphasize the bobbin area showing where the threads collect and make sure that each class member understands the importance of cleaning out the needle plate area on a regular basis. We also teach you how to give your machine a protective finish and clean up a case that has an odor.